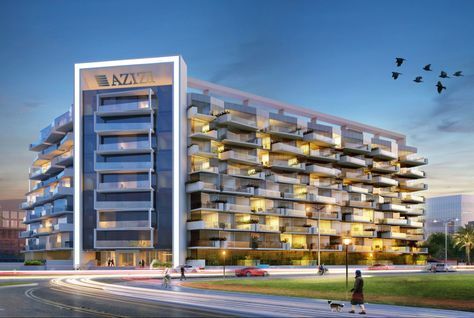 UAE-based Azizi Developments has announced plans to build luxury hotel apartments and residences in Dubai Studio City. The upcoming residential building, as well as the hotel apartments will comprise eight-storey structures on the two Dubai Studio City plots, the developer said in a statement. It added that the residential building will feature 80 one-bedroom, 95 two-bedroom, and 2 three-bedroom apartments with a retail area of 6,000 square feet. The hotel apartments tower will contain 70 one-bedroom, 83 two-bedroom, and 2 three-bedroom apartments with a retail area of 5,266 square feet.